Kelvi - Digital Hot & Cold Therapies - Hypothermia Devices, Inc.
Get heating, cooling and adjustable pressure in a compact unit that’s completely programmable through the Kelvi app. Store and preprogram multiple courses of therapy for different injuries and athletes. Monitor their therapy, and store archived treatment histories via the internet. Doing away with ice hassles is only one of the advantages. 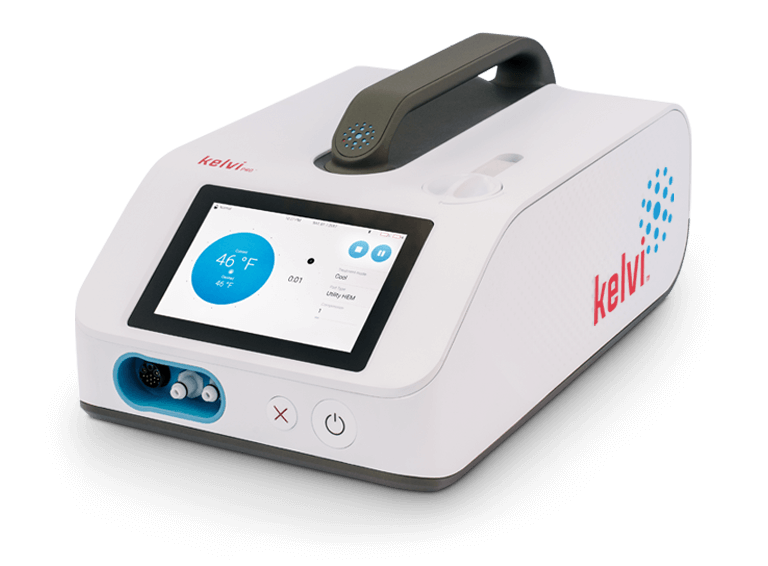 Kelvi Pro brings unprecedented temperature precision and control to therapy. Program longer, more sustained therapies without tissue-freezing risks, execute rapid-cycle contrast therapies, and control them all via the Kelvi app. Why are you still messing around with ice? Get Kelvi Pro™, the modern-day solution for hot and cold therapy with adjustable pressure. No more ice bags or mixing ice-and-water solutions. It both heats and cools, in a compact electronic device you can carry with one hand. © 2019 Kelvi - Hypothermia Devices, Inc. All rights reserved.